Our beloved Dad, Grandpa, and friend Larry Cintas passed away unexpectedly January 29, 2019. Larry was born October 8, 1955, to Jose and Rose Cintas in Pueblo, Colorado and was raised in Taos, New Mexico. He moved to Salt Lake City in the mid-1970s and married our mom, Jeri Lovato in 1977. Even after spending the greater part of his life in Utah, New Mexico always held a special place in his heart and he loved sharing the food, music, and traditions of his roots. He was the life of the party and his laugh could be heard from miles away. He used that voice to root for his favorite teams, the Raiders, Dodgers, and Jazz. Larry recently retired from a career working with the Painters Union but preferred to stay busy, he was always willing to put in a hard day's work. More than anything, Larry loved being a grandpa to his granddaughter, Katelyn. Larry is survived by his daughter Monica, son Eric (Ginger), granddaughter Katelyn, siblings Antonio (Rose), Manuel (Sigrid), Marcella (Avelio), Clara, James, John (Denise), Junior, Darlene (Mike), Rose (Johnny), and a large extended family. Larry was welcomed to eternal rest by his parents Jose and Rose, brother Orlando, special aunt and uncle Mel and Elsie Martinez, along with other extended family and friends. 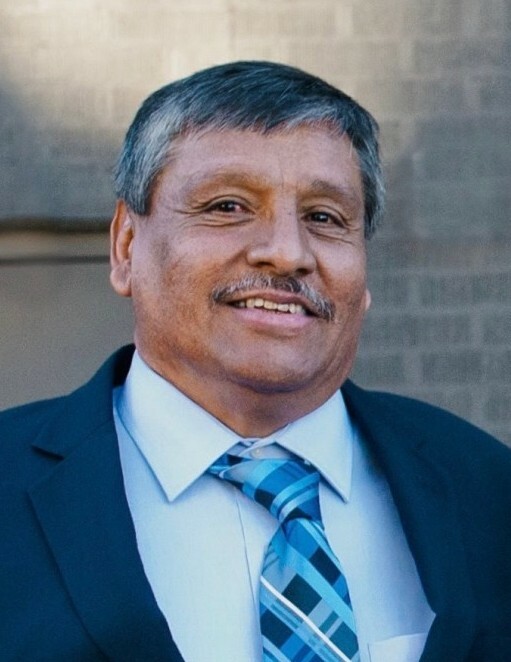 Funeral Mass will be held 11 a.m. Wednesday, February 6, 2019 at Our Lady of Lourdes Catholic Church, 2840 S. 9000 W., Magna. Viewings will be held Tuesday 6-7 p.m. with Rosary at 7 p.m. at Peel Funeral Home, 8525 W. 2700 S., and Wednesday 10-10:45 a.m. at the church. Private Interment. In lieu of flowers please donate to Angels Hands Foundation, 11152 S. Sunup Way South Jordan, UT 84095.